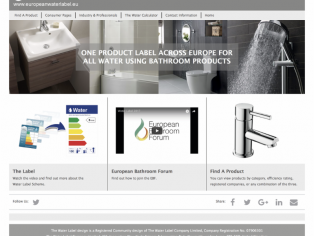 The European Bathroom Forum, which is driving forward plans for a single standard for water labelling across the EU unveiled its new website this week (www.europeanwaterlabel.eu), coinciding with World Water Day on March 23rd. Bathroom manufacturers across Europe are aiding governments in their quest to reduce water consumption by producing innovative and technologically advanced bathroom products that deliver the bathing experience consumers enjoy and, when installed and used correctly, also use less water, saving energy and money. 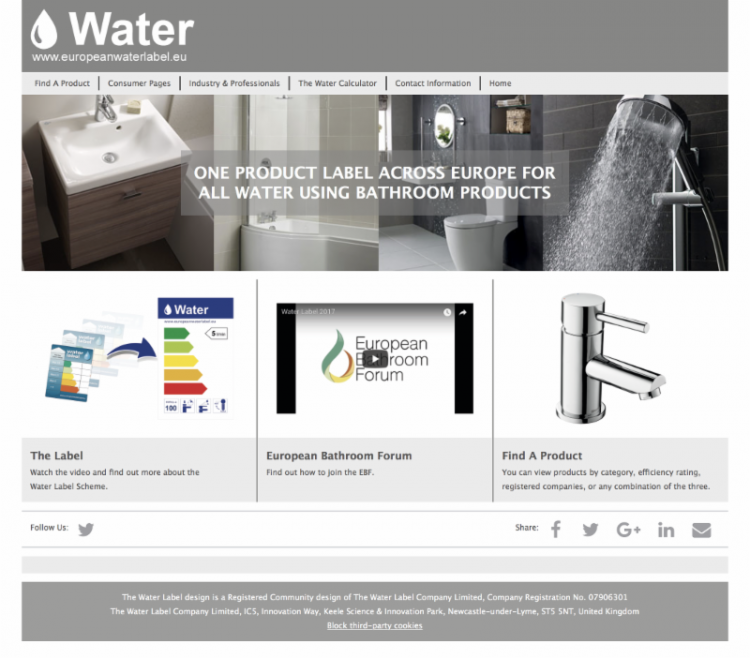 The Water Label Scheme is designed to provide consumers with easy access to a database of bathroom products that meet the required high water and energy saving standards. The Scheme provides a credible, recognisable label and website helping both consumers and installers become more aware of water issues and the water saving products currently available on the market. Organisations supporting the Scheme include European and National Associations, manufacturers and retailers, as well as waterwise, NHIC, the Consumer Council for Water and several water utilities. She added that Keele University will be undertaking the environmental modelling for the scheme, with EU funding. Currently 138 brands support the not-for-profit Water Label Scheme, between them including 10,801 products. European manufacturers pay a fee to join the Scheme, which covers all products.